As wonderful a time a year as the holidays are, they can also be a bit challenging for those of us who’ve adopted a plant-based diet. As a guest at holiday gatherings, finding healthy foods to eat is often hit and miss. As the host of a holiday gathering, planning a menu that’s as tasty as traditional dishes but still healthy becomes the main challenge. The good news is holiday meal prep with the Hallelujah Diet only requires a few tweaks and substitutions to prepare notable feasts that are tasty and healthy, too. Depending on how long you’ve been on the Hallelujah Diet, staying true to your diet during the holidays may be a challenge all its own. While festive, the holiday season can be stressful with all the shopping and holiday get-togethers on top of your regular hectic schedule. 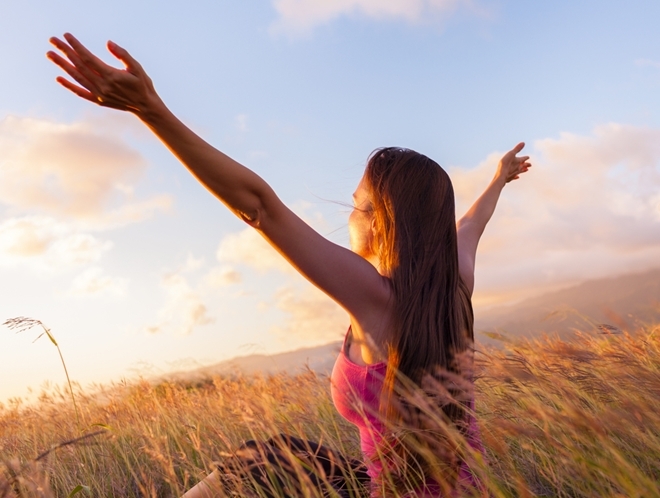 If you’re not careful, rising stress levels may have you reaching for those sugary sweets whether you want to or not. Stress is known to trigger sugar cravings. 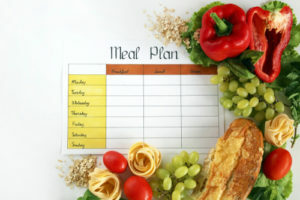 Planning your menus in advance offers a good way to stay true to your healthy eating lifestyle. This also goes for holiday meal prep. 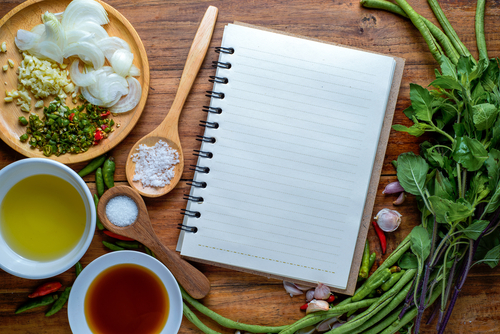 By picking out your recipes ahead of time, you can save yourself a lot of confusion and avoid any temptation to settle for unhealthy food choices. 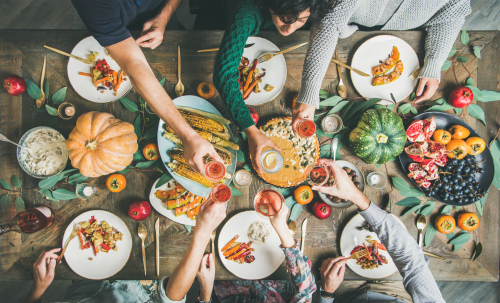 A big part of using the Hallelujah Diet as a guideline for holiday meal prep entails replacing unhealthy foods and ingredients with healthy, tasty substitutes. While your guests may well be used to the traditional holiday favorites, the bottom line is good food is good food. A vegetable-rich holiday feast can taste just as good or better than the traditional favorites. Tasty substitutes run the gamut, as far as types go. They include anything from using healthy oils like coconut and sesame instead of lard or shortening to using organic whole grain flour in the place of white-flour-based dishes. As far as snacks or side dishes go, use your imagination to create something new. 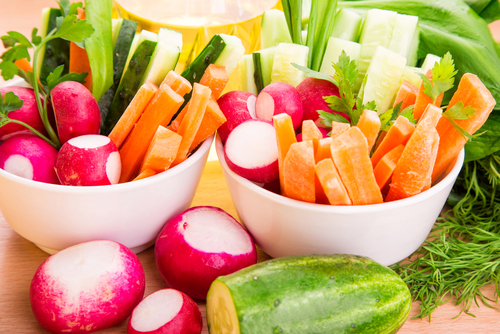 For instance, instead of using chips to dip into a bean-based hummus, raw vegetables can be just as tasty and ten times more nutritious. Since the Hallelujah Diet is a plant-based diet, adding more vegetables to your meal spread can go a long way toward filling out the menu. Side dishes offer great opportunities for adding more vegetables to the mix. Healthy holiday recipes cover amost every type of side dish, whether it is a rice dish or a sweet treat. Examples of vegetable additions include the all-time favorite green bean casserole, a brown rice pilaf, vegetable trays with tahini dips, and sweet potato salad. If you’re concerned about getting needed protein content, rest assured, a holiday meal plan based on the Hallelujah Diet includes ample amounts of protein. Protein should only make up 10 to 15 percent of the average American’s daily diet, so there’s no need to worry about coming up short. Cakes, cookies, and candies made with white processed sugar are some of the most unhealthy and even dangerous foods that haunt holiday spreads. These foods wreak havoc on the body’s blood sugar levels, causing sugar rushes and crashes and cravings for more of the same. While no holiday is complete without sweet, tasty snacks and desserts, there’s more than one way to make these treasured treats. The Hallelujah Diet offers a complete list of sugar substitutes that are not only good for you and your guests but also taste good! Date sugar, raw honey, molasses, and carob offer just a few ways to sweeten up your entrees and give the traditional entrees a run for their money. Holiday meal planning using the Hallelujah Diet is really not that much different than planning a traditional spread. Once you decide on what types of dishes you want to prepare, it’s just a matter of making sure you have whatever healthy substitutes are needed to stay true to the diet. Since it is the holidays, there’s no shame in choosing your favorite dishes and even splurging a little to make the occasion a special one. Something that can make the prep planning process so much easier is our Hallelujah Holiday Recipe Book. Chock-full of holiday menu ideas for main dishes, side dishes, snacks, and desserts, this book can give you a variety of ideas for planning a healthy and tasty holiday feast.